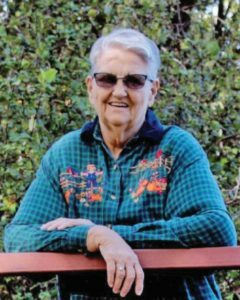 Mary A. Robertson, 86, died on Wednesday, Oct. 24, 2018 at her home in Libby. She was born at Underhill, Wis. to Walter and Nora (Larson) Raasch. 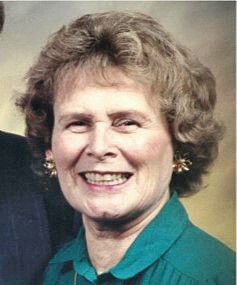 She attended grade school in Pulcifer, Wis. and Bonduel High School and graduated in 1950. She went to the Milwaukee Conservatory of Music and took voice study for two years. Mary married Roger Robertson on May 16, 1953. They had six children together. She was a member of St. Joseph Catholic Church since 1955, and taught Religious Ed for 30 years and sang in the church choir. In 2017 she was the oldest person to ever walk the complete tour of The Vatican. 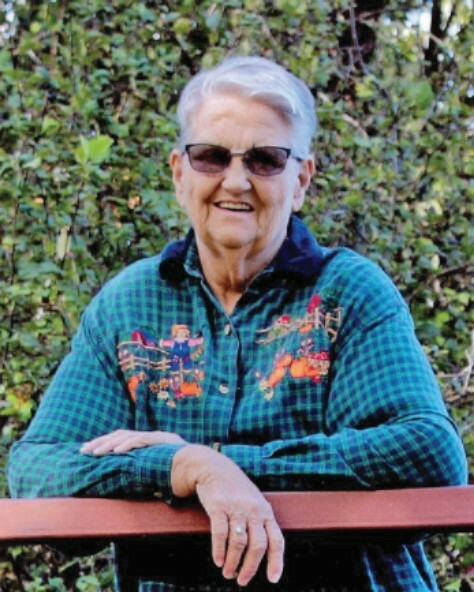 Mary was a rural mail carrier for almost 24 years. She was a den leader in Cub Scouts for 17 years. She also coached girls Little League and Senior League Softball and played ball with the women’s league. She also shot a moose in 1995. Mary was preceded in death by her parents, husband Roger and a granddaughter Darah Robertson. Survivors include her children Mike, Jeff (Kayley, kids Jeremy, Jill, Courtney, Shelby, Taylor and Nic), all of Libby; Barb (Mike Grantham, kids Derrick, Tiffany, and Tracy Booth), Winnemucca, Nev.; Sue (Kirby, kids Korey and Alex) Kulbeck, Libby; David (Gwen, kids Tommy, Jake, and Zack), Winnemucca, Nev.; Lisa (Troy and son Mark) Seaberg, Havre, Mont. ; 11 great grandchildren; son-in-law Earl Booth and a step brother Don Sheldon (Christine), Newald, Wis.; and numerous nieces and nephews. Visitation was Thursday, Nov. 8, at Schnackenberg Funeral Home. Mass of the Resurrection was celebrated Nov. 9, at St. Joseph Catholic Church in Libby. Arrangements are by Schnackenberg Funeral Home in Libby. Online condolences and memories may be shared at www.sch nackenbergfh.com. 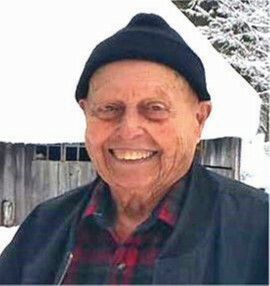 John Philip Lemen, 96, of Libby, Mont. passed away peacefully on Oct. 17, 2018 at Cabinet Peaks Medical Center in Libby. He was born on April 27, 1922 in Chicago, Ill. the youngest of nine children. Phil entered the Navy in 1942 and served as a signalman third class in the Pacific. Upon his return, he earned a teaching degree from Illinois State University. He married Betty Lambert in 1948. They then moved to Anaheim, Calif. in 1955 with their sons. After Betty Lemen, his wife of 35 years, passed away he continued to work for Southern California Gas Company until he retired in 1987. Phil married Olivia Rasmusson in 1992. They lived in Deer River, Minn., moving to Libby, Mont. in 1994. While in Libby, Phil and Olivia were active in Faith Bible Church. Phil is survived by his wife of 26 years, Olivia Lemen, and her three children; 16 grandchildren; 12 great- grandchildren; and teo great-great grandchildren. He is also survived by his gibr children; 13 grandchildren; and 30 great-grandchildren. Services were held Monday, October 22, at Faith Bible Church in Libby followed by burial at Rose Hill Cemetery in California. Local arrangements were under the care of Schnackenberg Funeral Home of Libby. Online condolences and memories may be shared by visiting www.schnackenbergfh.com. 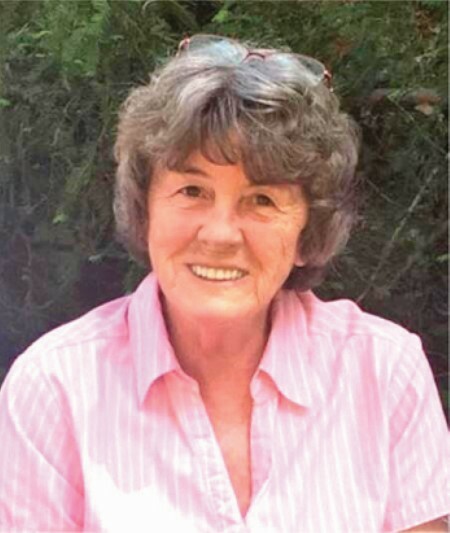 Jeanette May Cummings, 69, passed away Oct. 29, 2018 surrounded by the most important people in her life-her family, after a short, excruciating battle against cancer. Jeanette was born May 10, 1949 in Libby, Mont. to Raymond and Evelyn (Hays) Siefke. Jeanette grew up and went to school in Libby and began taking care of her father and siblings at the young age of 14, after losing her own mother to cancer. She married the love of her life, James Cummings Sr., on Feb. 19, 1968 and raised their family in their home of 30+ years near Bull Lake. Jeanette was a loving, compassionate, soft hearted and hardworking person, but she also had a stubborn and hard headed side. She was always working on a project of some kind in the kitchen, the garden or on the house. She loved working with wood or playing in the dirt. If she wasn’t working on her own projects, she was helping someone else with theirs or just spending time with her family. Jeanette was more than just a mother, grandmother, great grandmother, sister, aunt. She was her family’s greatest inspiration, their rock. Her children loved her deeply and they all called her every night to fill her in on their day’s events. Her family’s hearts are forever broken. Her family has some comfort knowing she is with her husband again, fishing with her dad and getting a long awaited hug from her mom. Jeanette was preceded in death by her parents, Raymond and Evelyn Siefke; husband, James Cummings; and brother, Wayne Siefke. Jeanette is survived by her children Nikki Ramirez of Troy; Tammi Francis of Winnemucca, Nev.; Jamie (Dave) Bernhart of Post Falls, Idaho; James (Kimberly) Cummings Jr. of Great Falls and Jessica (Logan) Munts of Troy; grandchildren Adriana, Emily, Isabel and Olivia Ramirez; Samantha (Joe) Brooks, Erik Francis, and Jayden Kirk; Colby and Shaylee Bernhart; Ashlynne (Kenneth) Eiman and Connor Cummings; Trevor and Tyler Munts; great grandchildren Autumn, Cael, Mya, and Cameron; sisters: Shirley (Wayne) Hirst and Diane Siefke; brothers Tim (Faith) Siefke, Bruce (Brenda) Siefke, Johnny Siefke, and brother, Daniel and wife, LaDonna Goff that she didn’t get to know for enough years; numerous nieces and nephews and many in-laws that she always loved as family. Visitation was Friday, Nov. 2, at the Schnackenberg Funeral Home in Libby. Services were Saturday, Nov. 3, at the Troy Community Baptist Church. Arrangements are by Schnackenberg Funeral Home in Libby. Online condolences and memories may be made at www.sch nackenbergfh.com. Marie Elise Williams Lamoose, 71, died on Wednesday, Oct. 24, 2018 at home surrounded by her friends and family. She was born on Sept. 15, 1947 at Libby to William and Maria (Nixon) Williams. She moved to Hot Springs, Mont. where she met and married Baptist Lamoose. She loved babysitting, reading, picking huckleberries, beading and spending time with family and friends. Marie lived with so much pain and sickness that it is a blessing she is now in the hands of our Lord. God bless you. Till we meet again your loving family and friends. She was preceded in death by her husband Baptist Lamoose, her parents Bill and Maria Williams, two brothers Billie and George Williams, and a sister Lucy Platts. Survivors include siblings June Roose, Eureka; Jim and Penny Williams, Eureka; Jack Williams, Libby; and Nancy Williams, Boise, Idaho; and numerous nieces, nephews, grandkids and great grandkids. Services will be at 11 a.m., Saturday, Nov. 10, at Schnackenberg Funeral Home in Libby. Online condolences and memories may be shared at www.sch nackenbergfh.com. 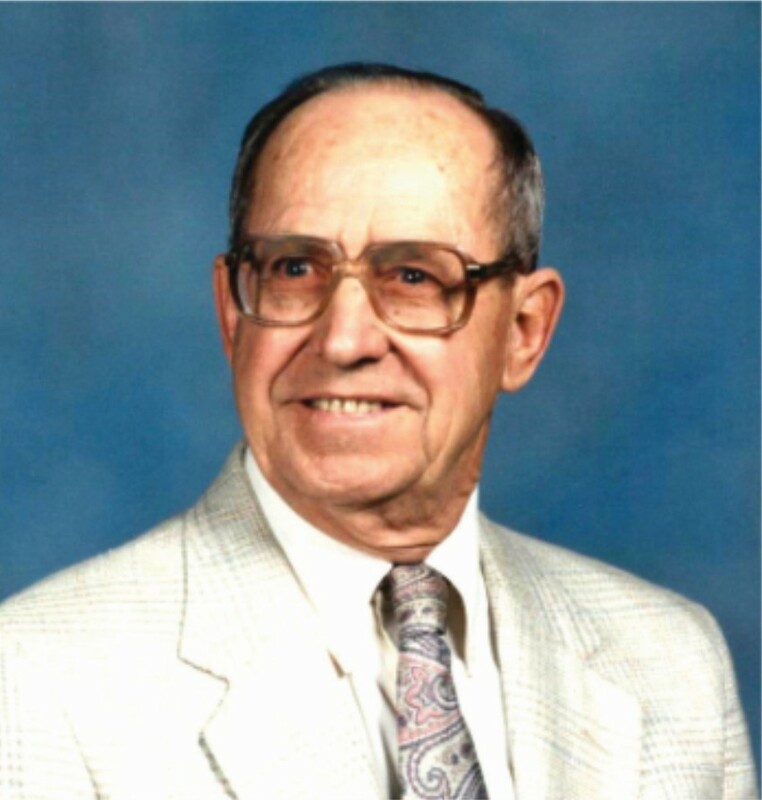 Gilbert Martin, 89, died on Wednesday, Oct. 24, 2018 at his home in Troy of natural causes. He was born on Jan. 30, 1929 at Oakland, Calif. to Manuel and Josephine Martin. Gilbert married Anna Corter on April 5, 1997 at Reno, Nev. He served in the U.S. Army from 1946 until 1948 when he was honorably discharged. He was a body builder and owned two health club gyms in Oakland for 30 years before moving to Troy, Mont. He built a pond on his property and raised trout. He was preceded in death by his parents, Manuel and Josephine Martin, a sister Lorraine and husband Harry Kontrovich, Joy Martin; a son Steve Martin, and a step son Keith “Ronnie” Osborn. Survivors include his wife Anna Martin, Troy; daughter Barbara Gasman, Kalispell, Mont. ; step children Leonard Osborn (Janice), Troy; Velda Grady, DeAnna Lobo (Charlie), Calilf. ; Karen Osborn, Ore.; 13 grandchildren and 25 great grandchildren and a brother Richard Martin (Marti) and their two children. Burial has taken place at Troy Cemetery. Arrangements are by Schnackenberg Funeral Home in Libby. Online condolences and memories may be shared at www.sch nackenbergfh.com.